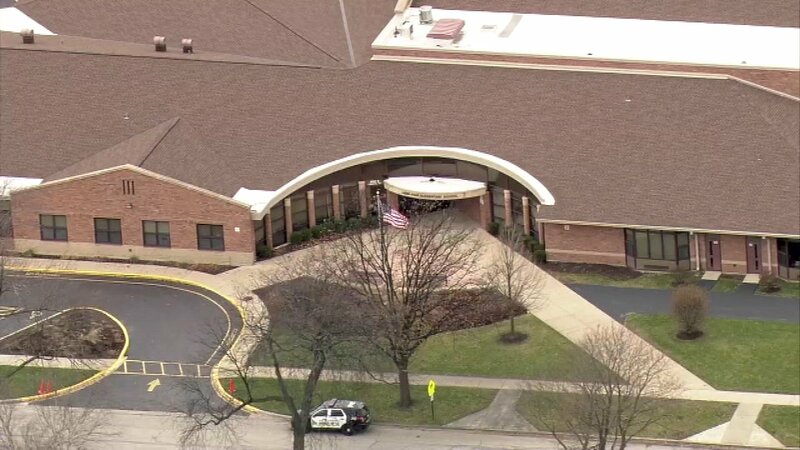 MOUNT PROSPECT, Ill. (WLS) -- Lions Park School in suburban Mount Prospect was placed on a precautionary hard lockdown after police say a suspicious man was seen near the school possibly with a weapon. The man was seen walking in front of the school around 8:26 a.m. Thursday as students were arriving, police said, although no one was found after a police search of the area. Police say there are conflicting reports as to whether or not he had a weapon. Normal activities at the school resumed after the 10-minute lockdown, and police say officers will be present at the end of the school day. The subject is described as an Asian or Hispanic man in his late 30s around 5-foot-10. He was wearing a dark blue knit hat, a dark-colored jacket and dark pants at the time of the incident, police said. Anyone observing suspicious activity near the school is asked to call 911 immediately.